These three words succinctly describe our core business. 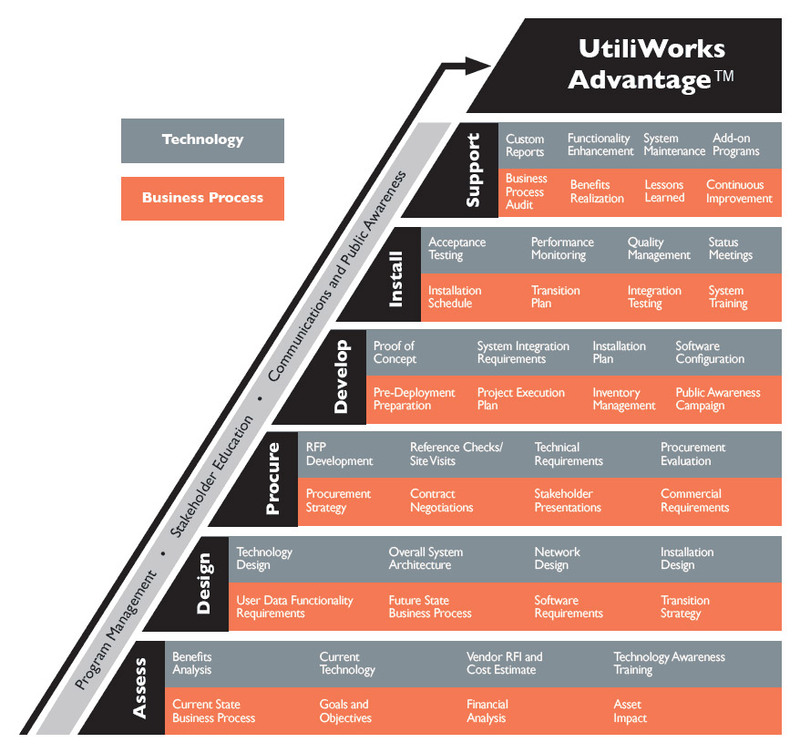 At UtiliWorks, we pride ourselves on being a full-service consulting firm, attuned to the needs of today’s utilities. We provide thorough consultation and recommendations, based solely on the unique needs of your utility. UtiliWorks Consulting is a professional services advisory firm that specializes in smart utilities and smart city initiatives. Founded in 2005, we have worked with over 85 clients across the United States and abroad. Together with our clients, UtiliWorks advances business and technology solutions that strategically enhance operations for utilities and their cities. Our people, processes, and analysis tools work in conjunction to lower costs, reduce risk, and ensure benefits capture for each technology implementation. The UtiliWorks Advantage™ is guiding principle behind the success of our work and a proven methodology for assessing and delivering technology projects for our clients. Over the past 15 years, UtiliWorks has worked across the United States and abroad, providing benefits for our clients regardless of their geography or topology. Our recommendations are informed by a detailed review of your service area and unique characteristics.